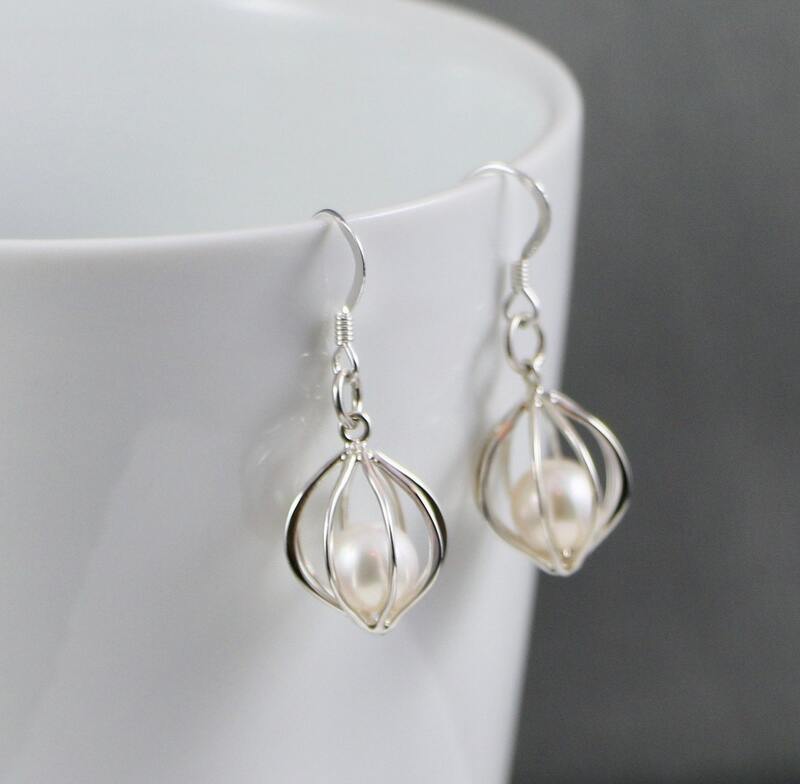 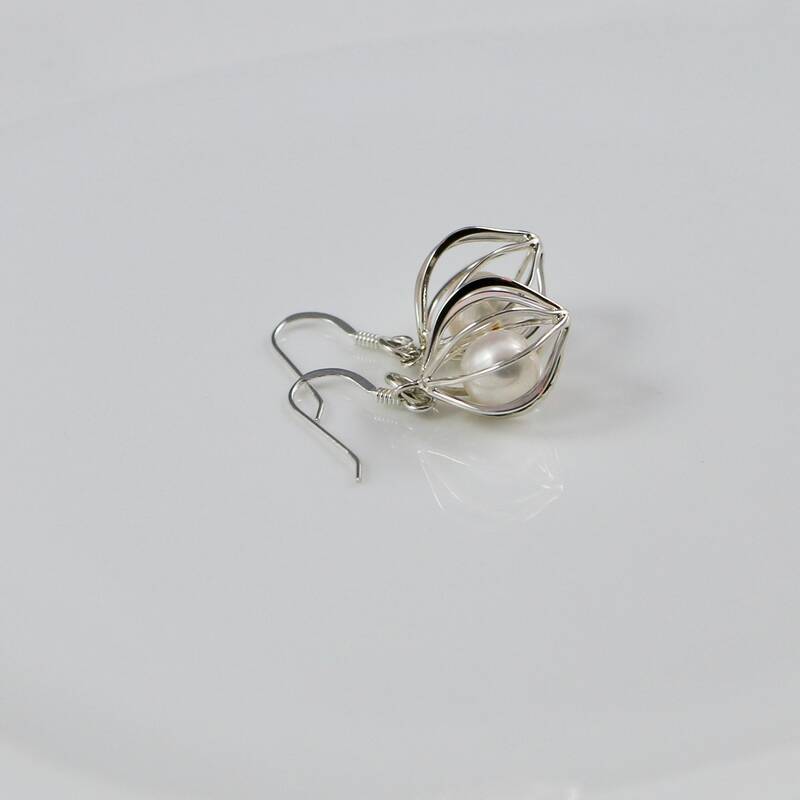 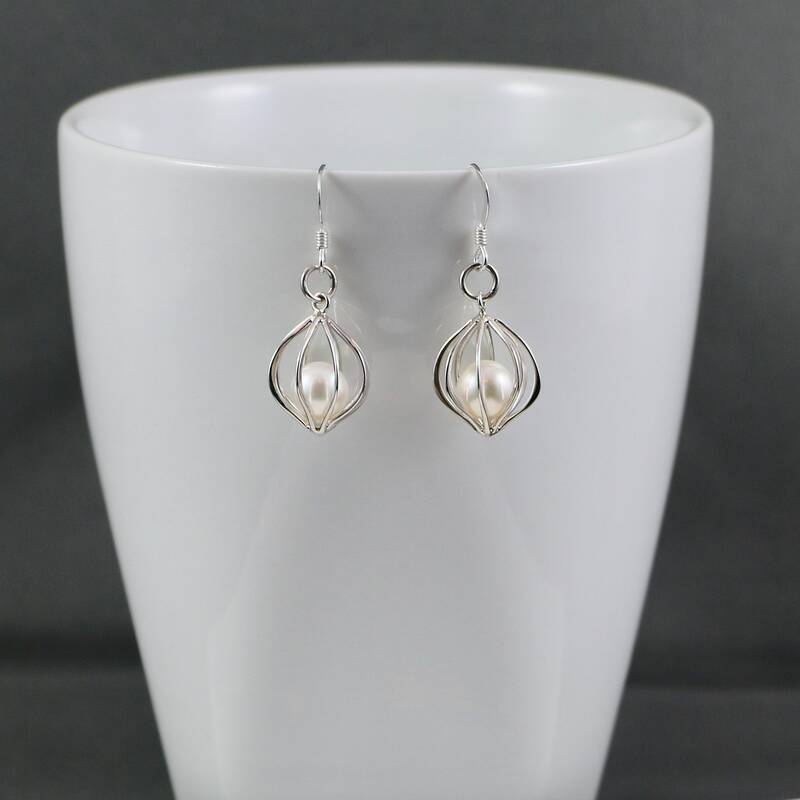 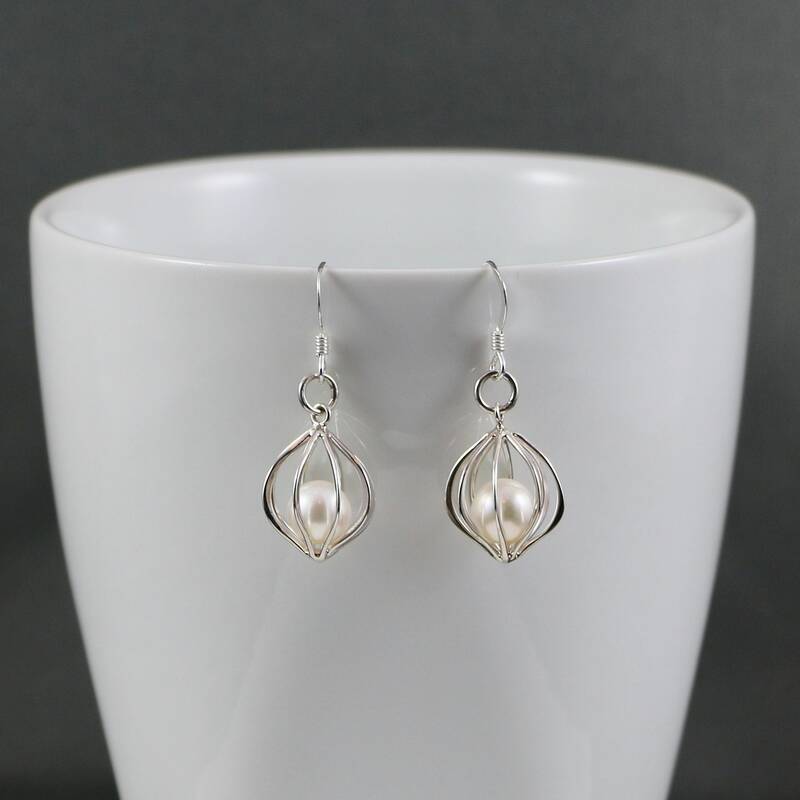 Earring Ingredients: Sterling Silver Lantern Cage with Pearl. 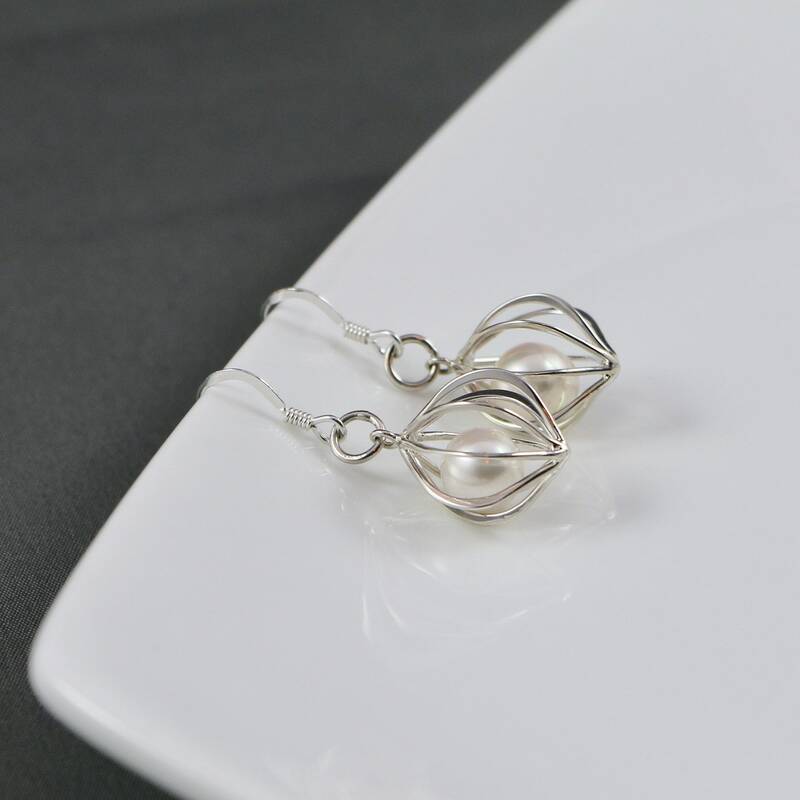 A sweet pendant that channels the romantic curves and lines of Chinese lanterns. 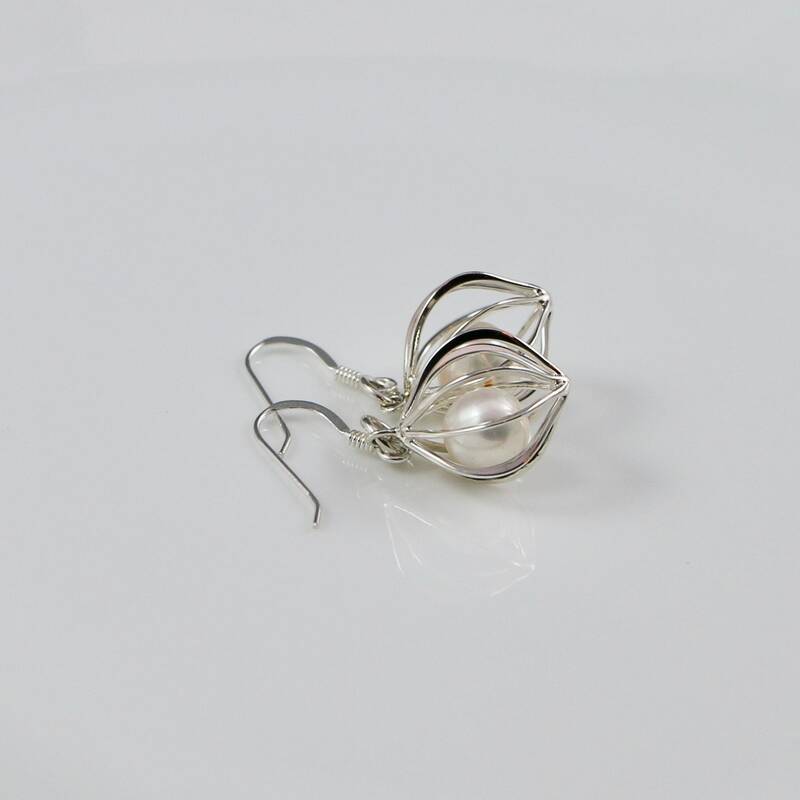 With its pointed, pinched top and bottom and swelling center, this little lantern holds a 7mm pearl inside. 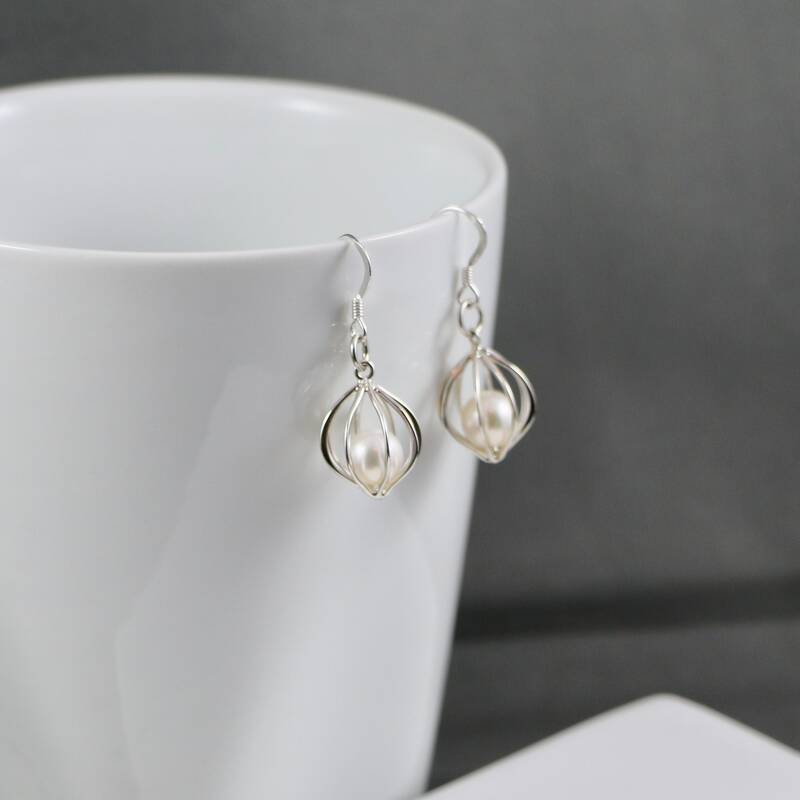 These little beauties are perfect for a gift for that special someone in your life and also for a wedding!